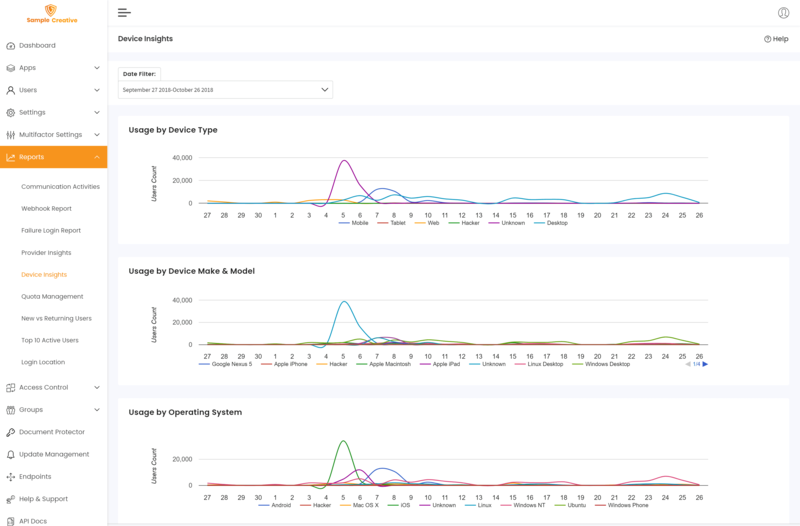 Device Insights provides information about the users accessed their services. via web or mobile and the device, the model and the respective operating system. Number of times the services were accessed using a device in a chosen period (i.e. filtered by date). The usage by device type (Mobile,Tablet,Desktop etc...)/device make & model ( Apple iphone, Apple Macintosh,Linux Desktop etc..)/operating System (Android, MAC OS X, iOS, Linux,Windows NT etc...) users count is displayed on the y-axis and the date of the months on the x-axis.